When you design an outdoor patio, deck, yard, garden, or walkway, there are 2 distinct categories of work that you'll see: hardscape design and landscape design. Don't worry; you can get both from a single contractor. But what's the difference between professional landscaping and hardscape design in Suwanee? Which should you prioritize? Most importantly, which area of expertise does your property need most? Landscaping is exactly what most people assume it is: the design and implementation of plant life, from trees and shrubbery to flowers and grass. The soft, living components of your property, designed for optimal beauty and ornament, are the stuff of landscape design. Landscape design typically involves planting, pruning, and improving the plant life around your home or business so that your modern amenities include the right touch of soothing nature. 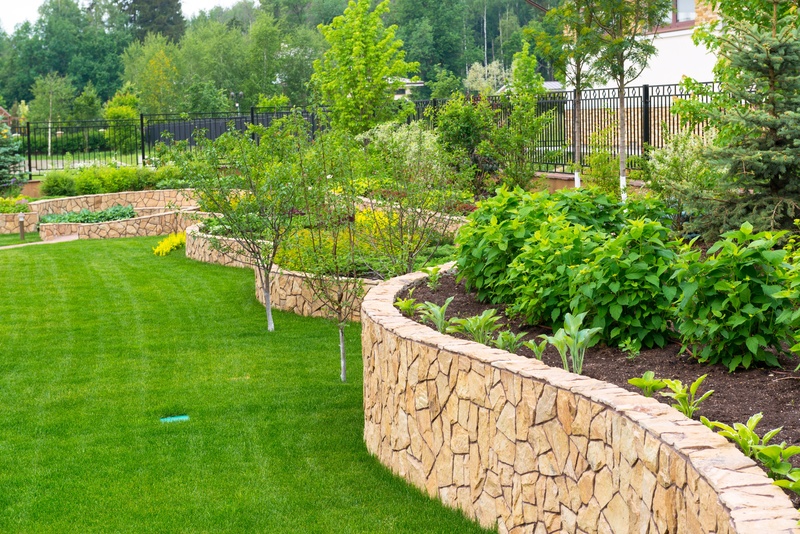 Hardscaping, meanwhile, deals with the "hard" materials in your yard, including walking surfaces, retaining walls, natural rocks, and patios and other foundations. Hardscapes include the use of natural stone, like smooth limestone, or manufactured products like concrete and manufactured slate veneer. Hardscape ideas can be more creative than landscape concepts, mostly because it's easier to manipulate hard materials than living plants. Landscapes can be groomed. Hardscapes can be sculpted. 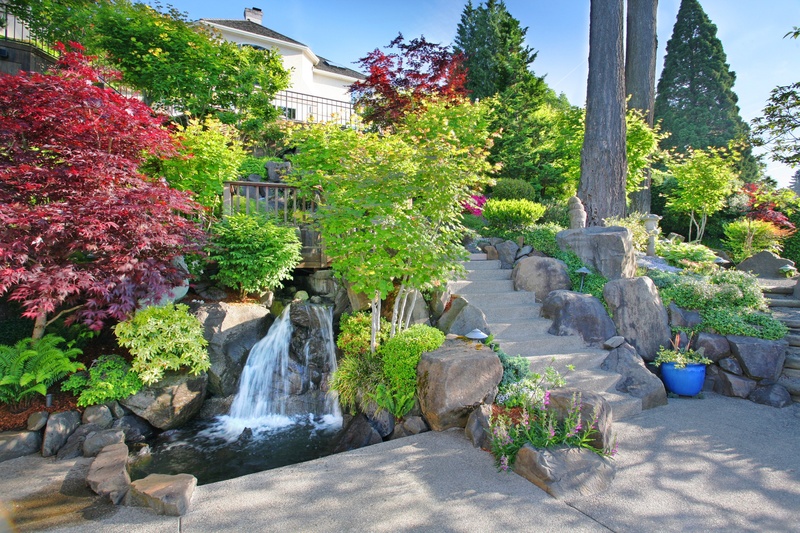 There's no set rule on which should take precedence over the other: landscapes or hardscapes. Some homes might prefer to install a large deck and patio hardscape, then accessorize them with beautiful plant life, whereas other homes might prefer a natural, immersive garden experience with restrained uses of hardscape, like gently sloping walkways. You, as the owner of the property, get to decide what appeals to you most. Either way, balance is key. A paved yard needs greenery to give it life, but a verdant lawn needs hardscapes to make it look artful and welcoming. Landscape and hardscape designs require different techniques and approaches. While landscaping is more scientific, requiring a nature lover's green thumb for active plant growth and to treat regional challenges to creating a healthy lawn, hardscaping is more artistic. You need professional knowledge of hardscape materials, from the manmade and engineered to the natural and quarried. You also need to know how to match the house on the property, while also introducing different color schemes and textures. A hardscape designer should even understand how you'd be inclined to move through a property and create surfaces that allow you to best experience your yard. But both landscaping and hardscaping require creative, unique design for successful results. Therefore, it's important to work with a contractor experienced with both landscape design and hardscape design in Suwanee. Expertise in these distinct areas culminates in the installation of a balanced property that's usable, but beautiful, as well as both impressive and easy to maintain.